is shown in an undated photo. The workers, formerly employed by Ratch-Lao Service Co. Ltd.—a firm subcontracted to the Hongsa Lignite Power Company Ltd. In Sayabouri province-—had petitioned since March for an increase in their pay and benefits, one employee told RFA’s Lao Service. “In a meeting on April 10, the management board did not agree to the employees’ proposals, so 20 of the workers decided to quit,” RFA’s source said, speaking on condition of anonymity. “Even though the company affirmed that the requested raise was justified by Lao law, they said only that they could increase the subsidies for meals by an additional 50,000 kip [U.S. $6] per person each month,” he said. 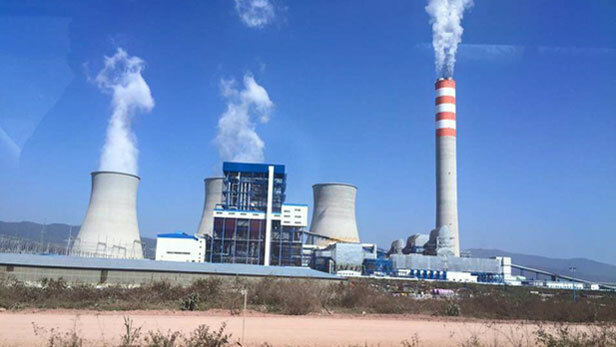 The company had previously told employees that their pay and benefits—including sick leave and vacation leave—would be increased if the Hongsa Power Plant’s units 1, 2, and 3 were kept fully operational, the source said. Workers at other companies subcontracted to Hongsa have meanwhile received their requested increases in benefits and pay, he said. Initially, 96 of the more than 100 workers employed by Ratch-Lao’s operations and maintenance sections had signed letters threatening to quit, Bounthavy Phimmasone, human resources manager at the company, told RFA. “After they submitted their letters, the company told them they could withdraw their requests no later than March 31 to give them a chance to reconsider,” Bounthavy said. “As a result, some of them did withdraw their requests,” he said. Also speaking to RFA, a senior manager at Ratch-Lao said that workers’ salaries at the company—around 4 million kip (U.S. $500 approx.) per month—were already high and in line with standards provided by the law. Reported by RFA's Lao Service and Ounkeo Souksavanh. Translated by Ounkeo Souksavanh. Written in English by Richard Finney.